Michael James Profozich, age 73, died peacefully surrounded by family on March 22, 2019. He was affectionately known and loved by many family and friends, including his wife and love of his life Connie, son David (wife Linda), daughter Lisa Rylands (husband Rande); and daughter Valerie Haradzin (husband Ron). Plus, he is cherished as “Grandpap” or “Pap” by his 8 grandchildren Ryan, Jessica, Katie, Alexa, Ashley, Elizabeth, Luke, and Chloe. Michael was born on November 4, 1945 as the only child of his beloved parents, Michael and Rose Marie Profozich of Glenshaw, PA. In the Western PA entertainment industry, Michael was well known as “Butch Evers” (his stage name) and is respected as one of the finest guitar players to ever hail from the Pittsburgh region. His role model was another Pittsburgh native George Benson who personally complimented Michael’s talent. He played for various bands over the course of his 58-year music career including The Magnatones, Free & Easy, The Exceptions, Johnny Smooth, and the Vogues. Michael’s professional career included music and serving as an Electronics Technician initially for RCA and then for Howard’s TV over a 50-year period. He successfully overcame a heart valve replacement in 1991 and then a full heart transplant in 2005. 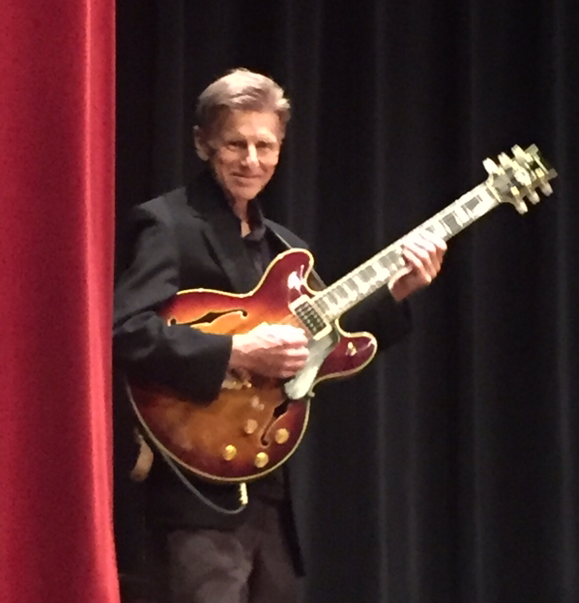 Michael also played guitar and arranged worship for Sharpsburg Family Worship Center and Allison Park Church. He truly loved the Lord, and expressed incredible enthusiasm to “be with Jesus” during his final moments of consciousness. He was a very passionate Pittsburgh sports fan, so he especially appreciated the many recent Penguins and Steelers championship seasons. Friends will be received Monday from 12-4 and 6-9 PM at the Neely Funeral Home, 2208 Mt Royal Blvd, Glenshaw, PA.
A Funeral Service will follow on Tuesday morning at 10 AM at the funeral home.